[2018.12.28] Infromation on recruitment for International Students(October 2019) updated. The following divisions and courses are accepting applications. 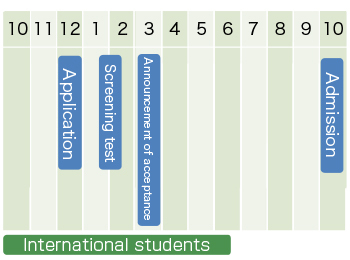 Students will be screened by the following methods. The maximum total number of students to be accepted for enrollment in the 5 courses is 8. Fields related to environmental engineering (atmospheric environment research, water environment research, soil environment research, waste disposal etc. ), Energy Technology. 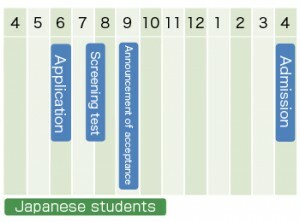 Number of international students to be accepted: 16 in total. * Special students are exempt from admission and tuition fees, and are eligible to receive the scholarship applicable to this course. Please see the application guidelines for detailed information about the scholarship. Special students are the eight students with the best screening test results. Please read the application guidelines for international students. Please see the following sites. If you have any questions, please contact us.